The RL2460 has an HDMI output, so each competitor can have their own monitor to play on without having to deal with input lag. 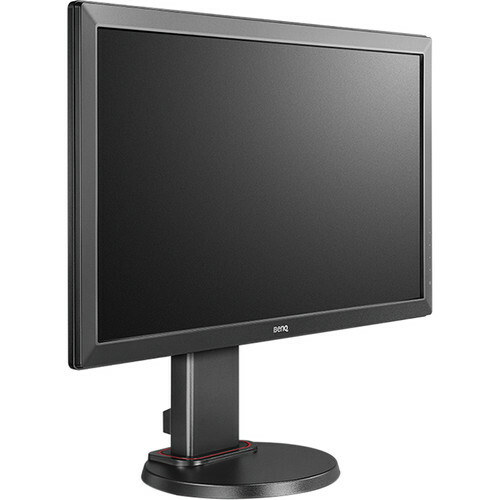 RL-series monitors are equipped with multiple game modes optimized for different scenarios such as First-Person Shooters (FPS) so you can swap to a better viewing experience at the press of a button. Black eQualizer increases the visibility of dark scenes without overexposing the bright areas so you'll be able to spot enemies hiding in the dark. Flicker-free and low blue light technology help reduce eye strain so you can game longer. The RL series has a frame that reduces reflection from the screen so you can keep your focus on the game. Box Dimensions (LxWxH) 28.0 x 17.0 x 8.5"